Saying NO to a client – when you’re starting your professional career, one of the first things your boss probably taught you is that the customer is always right. That you should do everything in your power to keep from having to say no to a customer. Why? Because if you won’t give them what they want, someone else will and you’ve lost a customer for life. This is still good advice today, at least to a certain point. The truth is that yes, you do want to do whatever is in your power to say yes to a customer, however, there are times where it makes sense to say no. Being selective in your customer choice ensures that your business moves forward in a path that makes sense based on your future goals as well as helps you to build the type of reputable business that you’ve been looking to build. A customer or client may have a vision for the outcome of a partnership with your firm that may not be in line with the goals and outcomes you have established for your business. You have a duty to your other customers to decline to participate in activities that can possibly malign your business in your industry as well as declining to participate in activities that you believe to be unethical. In addition, it is always prudent to select clients based on their ability to project your firm in a positive light rather than a negative one. After all, they are choosing you for the same reason. If you do not have the time or other resources to commit to a client’s project, you have an obligation to turn that client away. You would not only be doing a disservice to the new client in taking on work that overextends your firm, but your other clients will notice this as well. Resources that can impact your ability to take on a new client can include cash, labor, materials and time. There are a number of benefits that your company will realize when you begin to become more selective with the clientele you choose. These can include such intangibles as developing rock solid client loyalty. Companies will tell you that one loyal, returning customer is much more valuable than a few onetime sales. Not only will this client return to you time and time again, they can bring new work to the table including other projects and other clients via word of mouth advertising, the most powerful advertising tool available. In addition, you will find that when you are doing the things that you love and aren’t overwhelmed doing them, the quality of your work will be higher. This gives you an opportunity to develop a reputation in your industry as a leader, helps to protect your firm’s reputation and integrity and allows you to enjoy what you do. These are all wins when it comes to your business. Saying no to a potential client requires tact. If you become known as someone who is hard to deal with, then your business will stagnate. 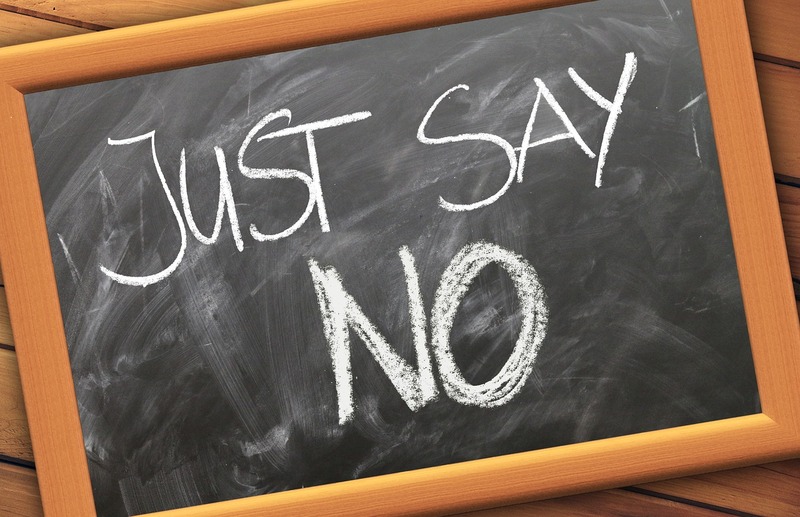 If you find yourself in a position to have to say no to a client, there are a few ways that you can go about doing it that allows you to decline while saving face. For clients that fall outside of your company’s vision or you cannot accommodate due to resource restriction, consider referring them to a competitor. Doing this helps raise your stock with other businesses in the community, which will likely do the same for you when they find themselves in a similar predicament. If a client is asking you to do something that is outside of your range of expertise, are asking you to do something that you believe is unethical or you have another issue, decline politely, provide an honest answer as to why you cannot take the job. But do so in a way that does not exert judgement.